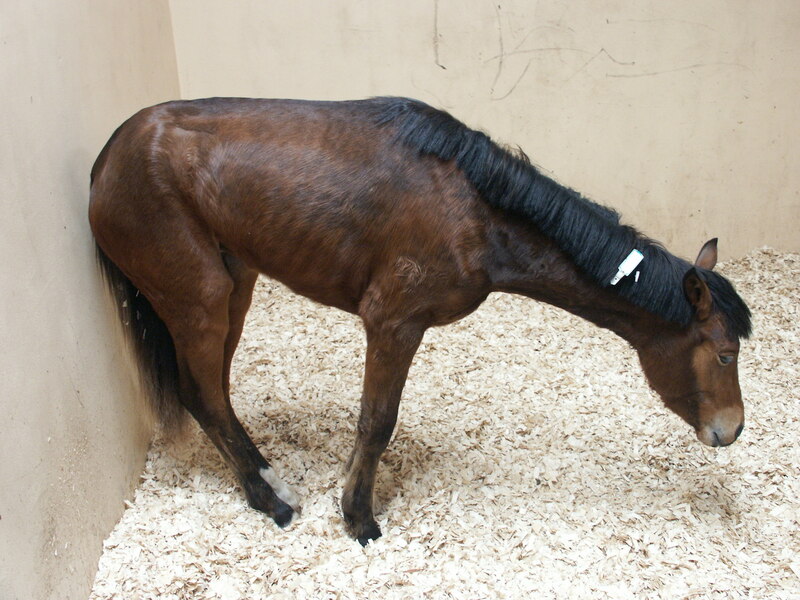 Each year in the U.K., about 2 percent of horses die from grass sickness. No one knows what causes the disease, but it does occur almost exclusively in grass-fed animals, including ponies and donkeys. A similar disease is thought to afflict dogs, cats, rabbits, hares, llamas, and possibly sheep. Horse with chronic grass sickness, showing marked weight loss and narrow stance. Photo provided by Bruce McGorum.